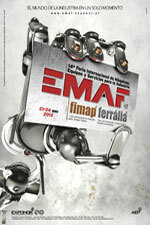 SORALUCE will be present at this edition of the EMAF (Oporto, Portugal) with Tecmill, its national distributor in Portugal, in the Hall 2 Stand A02. 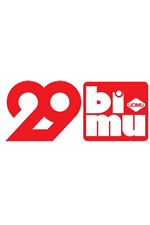 BIMU is one of the largest exhibtion of its kind in the world. 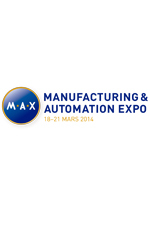 A large variety of companies will present machine tools automation robots and the latest offerings for components and structural processing. 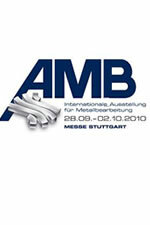 AMB, International Exhibition for Metal Working, is regarded as the leading industry event in even years and ranks among the world´s top 5 exhibitions for this industry. 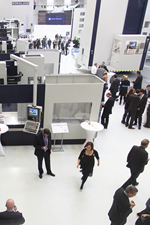 In September 2018 it will be that time again: more than 1,300 exhibitors from almost thirty countries will present the latest developments in machine tools, precision tools and their associated products for metal cutting. AMB will be the industry highlight in 2018. 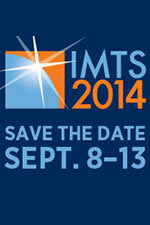 IMTS 2018 is the 32rst edition of the premier manufacturing technology show in North America. 1,900 exhibiting companies will occupy 1,240,863 net square feet of exhibit space at the McCormick Place complex in Chicago, Illinois. IMTS is held every even-numbered year in Chicago and attracts more than 100,000 buyers and sellers from over 112 countries. 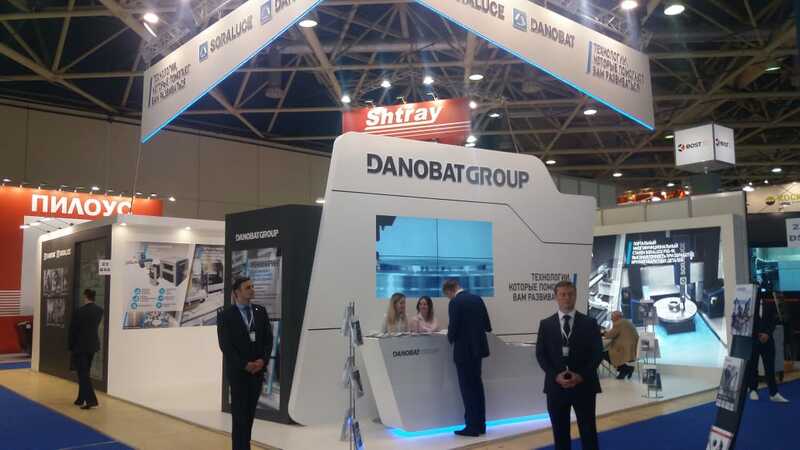 Yet another year, DANOBATGROUP will exhibit its products at the METALLOBRABOTKA, the main machine tool trade fair held yearly in Russia from 14 to 18 of May. 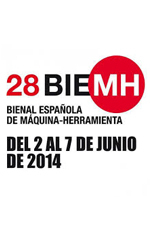 The business group will have a prominent presence at the event, which will be held in parallel with the Spanish Machine Tool Biennial (BIEMH). The forum aims to be a meeting point for companies in the industrial sector, students pursuing a career and professionals looking for a career break. 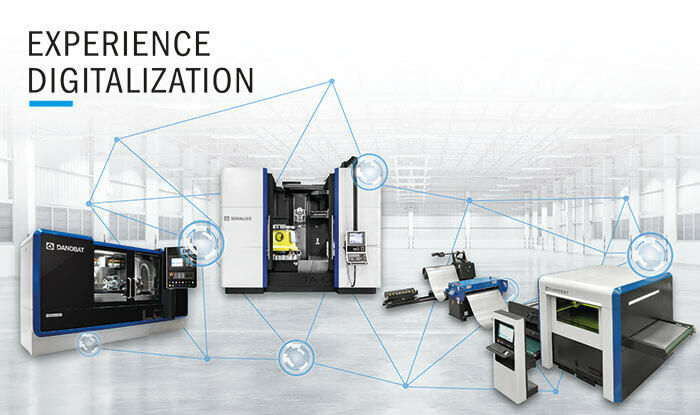 The industrial machine tool group exhibits its commitment to developing advanced solutions of its main brands, DANOBAT and SORALUCE, at the trade show. 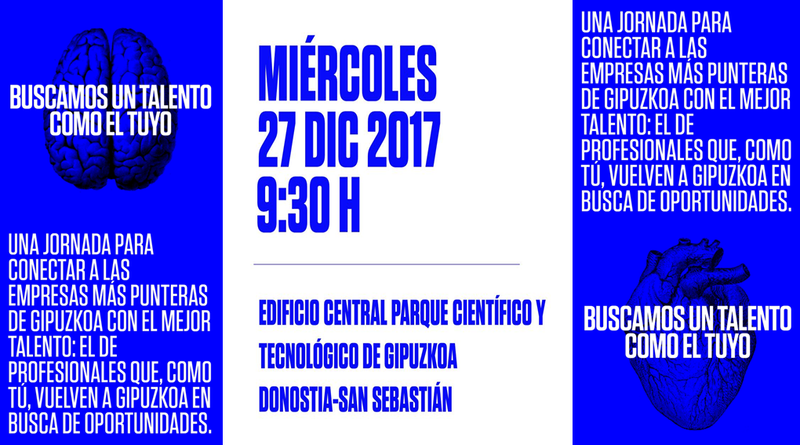 The capacity of the group´s businesses in carrying out turnkey projects featuring a high automation degree is presented as well. 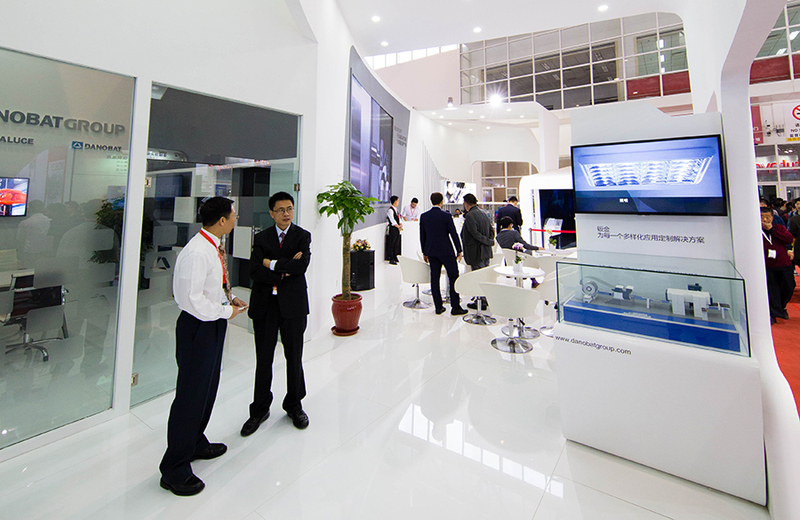 In an exhibition space of 720 square meters, DANOBATGROUP will also showcase its high value-added services and the consolidation of its value proposition for the digital industry. 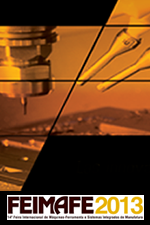 MACH 2018 is the UK’s largest event for Manufacturing Technologies. Over five days, more than 20,000 visitors will see some 500 exhibitors putting their latest technologies and innovations through their paces. 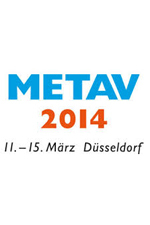 METAVin Düsseldorf has become established as the major showcase for manufacturing technology and automation. In 2018, industrial customers from Germany and Europe will meet in the international fair for the full up-to-date range of offers for the market. By means of specialised presentations, workshops, round tables discussions, interviews and exhibition areas, the congress has served to boost cooperation between businesses. 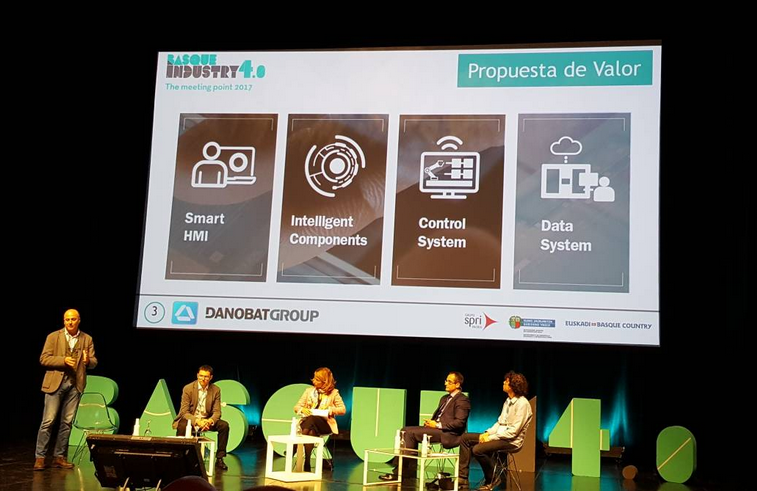 With the aim of giving an impetus to the exchange of knowledge and boosting co-operation between companies, the machine tool manufacturer DANOBATGROUP shared its capacities in the digital industry during the fourth edition of the Basque Industry 4.0, one of the main forums for industry 4.0 in the Basque Country. 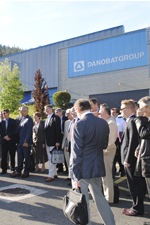 The manufacturer of machine tools and advanced production systems DANOBATGROUP made an outstanding appearance on the first day of the Congress of Advanced Manufacturing and Machine Tools, which is being held these days in the Gipuzkoa Science and Technology Park. The event, which started today and will last until Friday, seeks to disseminate trends in the advanced manufacturing sector and this year the emphasis lies on the digitalization of production processes. 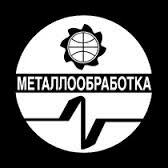 Yet another year, DANOBATGROUP will exhibit its products at the METALLOBRABOTKA, the main machine tool trade fair held yearly in Russia. 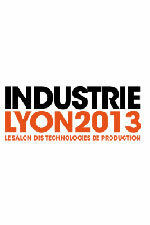 This edition, DANOBATGROUP will showcase the latest technology and solutions of DANOBAT and SORALUCE, particularly highlighting advanced machines featuring smart components (singular developments geared to obtaining enhanced accuracy and productivity in workpiece finishing); specialised solutions for the manufacture of high value-added components for the most demanding industrial sectors, as well as projects for turnkey installations that span preliminary engineering work, the study of machining and inspection processes, technical specifications and supply of equipment, part conveying systems, as well as the installation and commissioning of a complete production line in any part of the world. 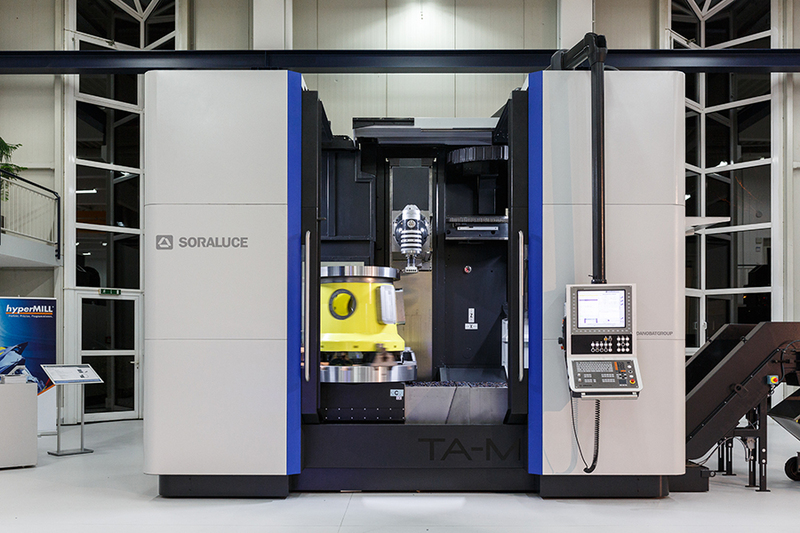 SORALUCE presents the new TA-M turning-milling centre, a multi-tasking solution aimed at maximising productivity, with the ability to carry out milling and turning operations on a single machine, offering great machining capabilities and functions. The machine responds to multi-tasking and versatility requirements, maximising productivity and minimising the time to prepare a part. 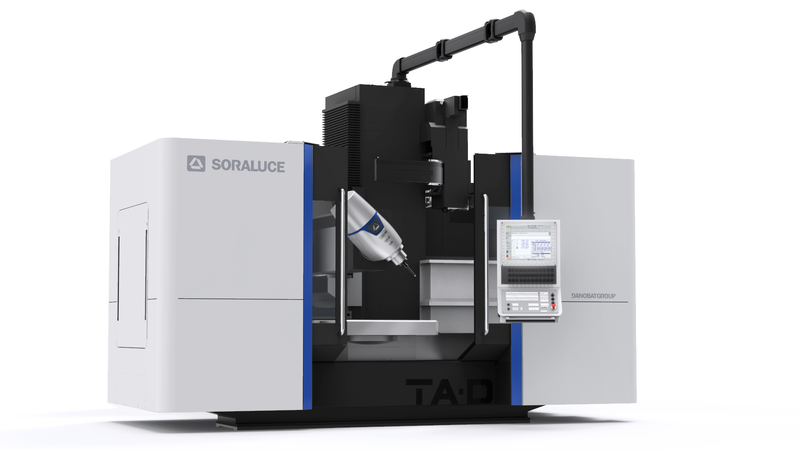 In this regard, the new SORALUCE TA-M multifunctional fixed bed reduces the number of clamps required, minimising both cycle times and potential errors. 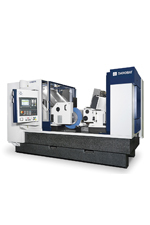 This model was designed to respond to the machining needs of various high demand components. 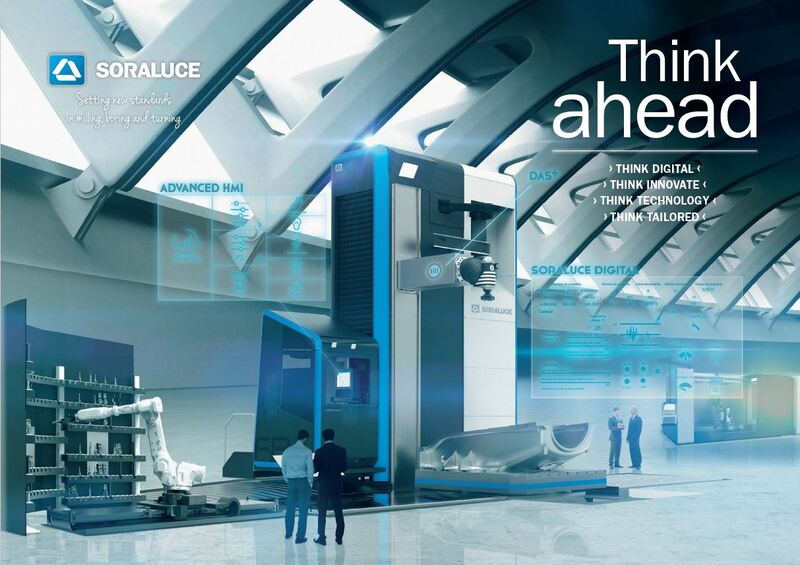 In the Industry 4.0 framework, SORALUCE presents SORALUCE MONITORING I4.0, a comprehensive monitoring package which provides an improved machine performance and increase in process productivity, reducing operating costs. Machining large size components requires very specific skills and machines capable of ensuring maximum precision on heavy duty components, to guarantee the productivity and reliability demanded by this sector to compete on the market. 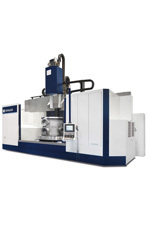 In addition to centesimal tolerances on large workpieces, which can weigh hundreds of tons, today, a machine dedicated to these types of components needs to be capable of dealing with extremely complex machining operations, reducing the number of workpiece set-ups as far as possible and likewise, cycle times and possible errors. 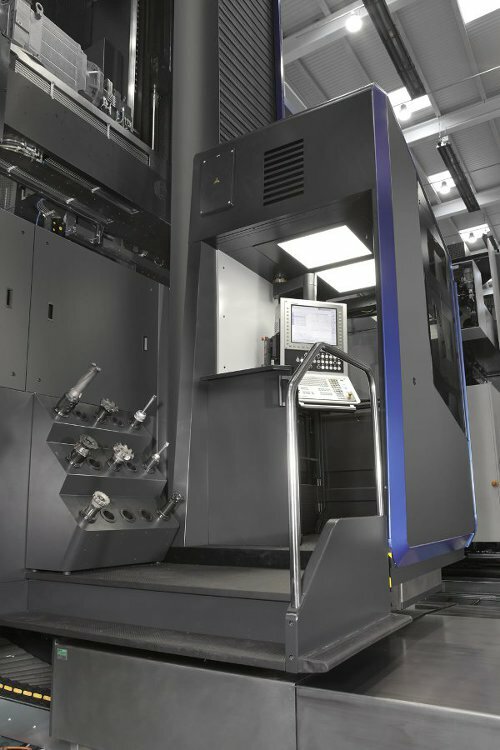 The machine must respond to multitasking and versatility requirements as well to avoid different set-ups or moving the components to different machines. 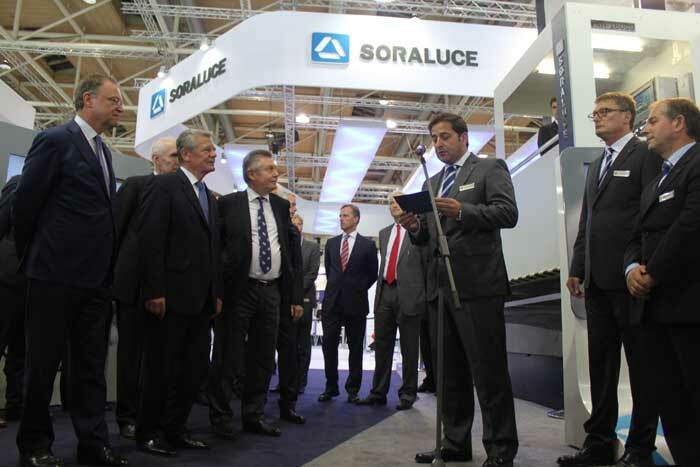 Innovation is at the forefront of what SORALUCE does and many of the technologies that drive the machine tool sector are pioneered by SORALUCE. 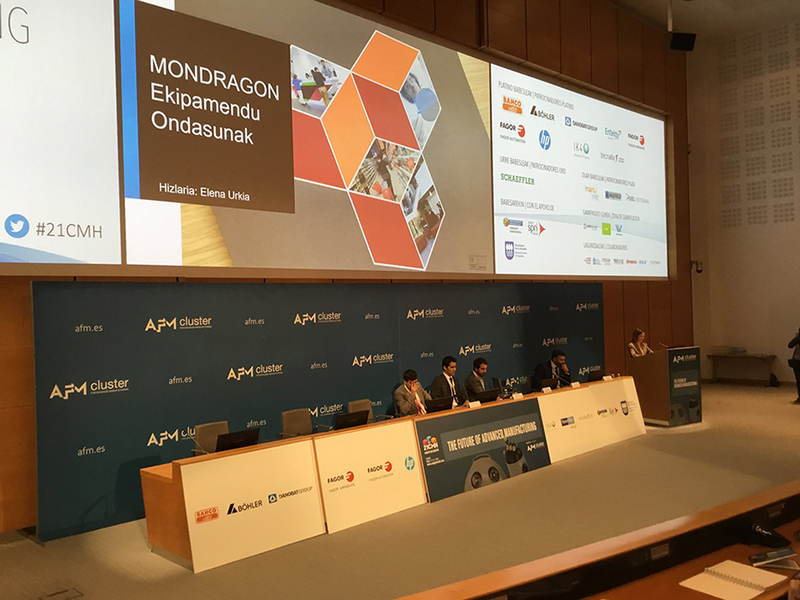 In this context and coordinated by its technological partner IK4-IDEKO, SORALUCE participates in the COROMA project, for the development of a modular robotic system that performs a multitude of manufacturing tasks in an autonomous way. 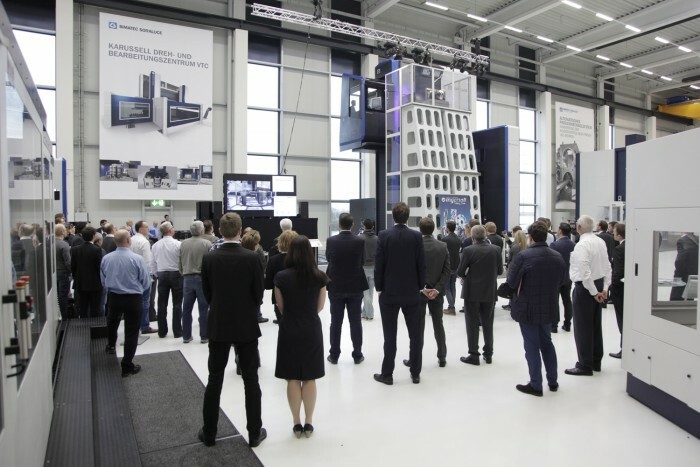 The European machine tool manufacturer, specialising in milling, boring and turning, showcased its high value added technological proposal at its 6th Technology Days, which are also marking the 25th anniversary of the BIMATEC SORALUCE Centre of Excellence in Limburg. 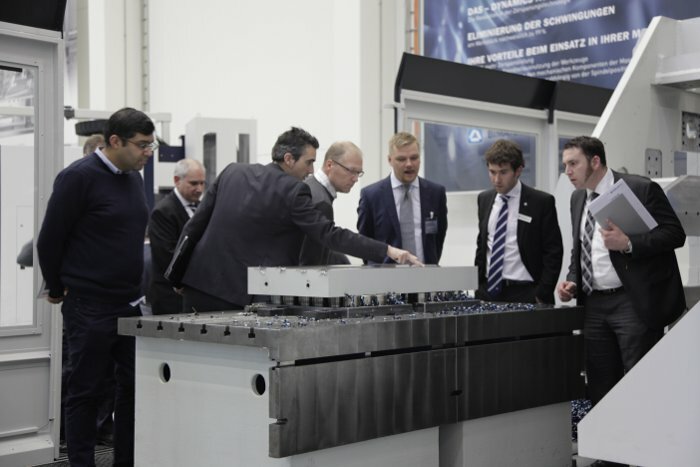 With a total of over 800 European, American and Asian customers in attendance, SORALUCE showcased its latest innovations and developments, under real machining conditions, by means of a Technology Tour where nine milling, boring and multipurpose machines were on display. 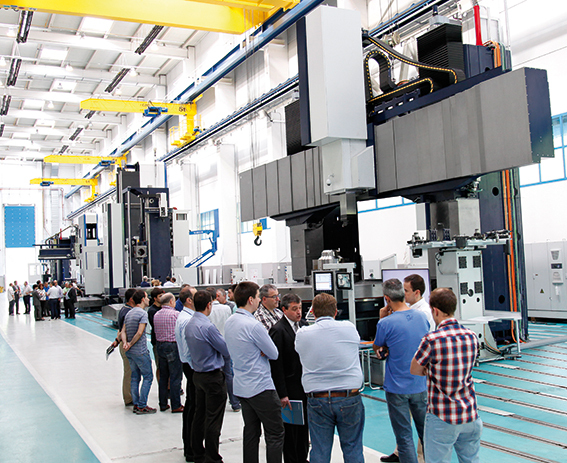 During the tour, the capacities of each machine were illustrated with live demonstrations, which included impressive examples such as the use of the DAS technology that has recently been recognised as the Quality Innovation of the Year and taken the Best of Industry Award, along with the innovative DAS for tooling. 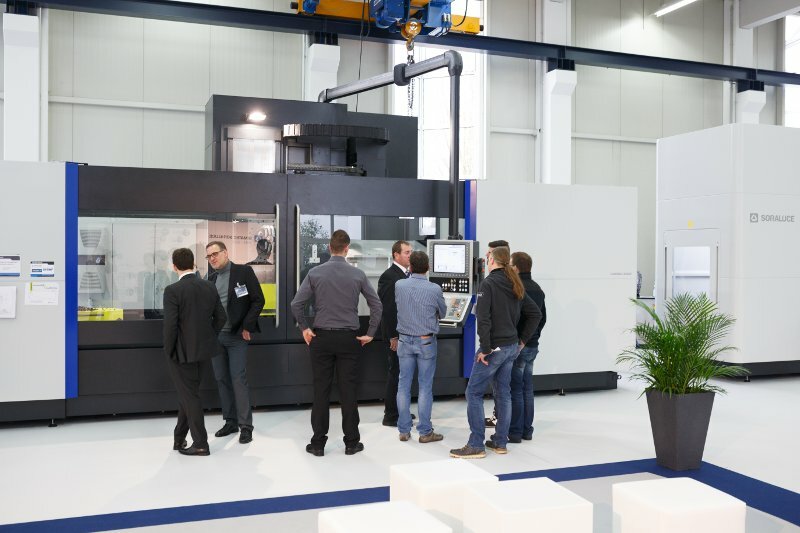 SORALUCE will hold from november 14 to 18 TECHNOLOGY DAYS 2016, an annual event consisting of new technologies and developments showed in real machining conditions by the leading specialists in milling, boring and vertical turning. 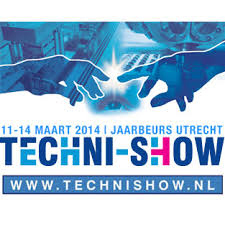 During TECHNOLOGY DAYS 2016, the attendees will be able to experience all the benefits of the new generation of SORALUCE machines, solutions and new technologies, such as the DAS System, which has received several international awards during 2016. TECHNOLOGY DAYS 2016 will be more special than ever, as this year SORALUCE is celebrating the 25th anniversary of its Centre of Excellence in Limburg (Germany). 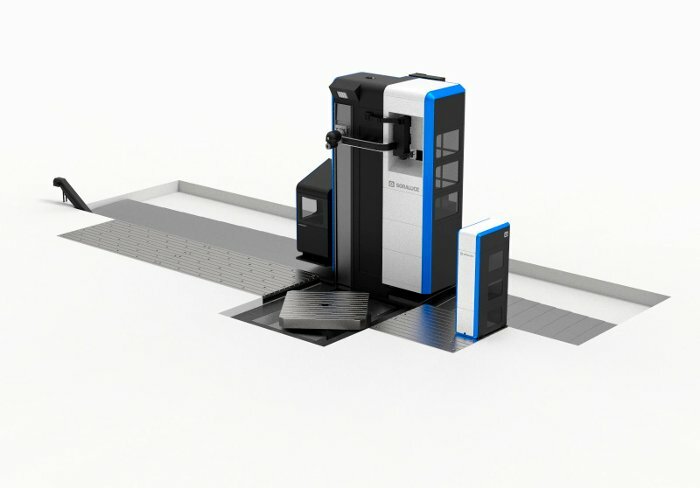 GOIMEK, part of the DANOBATGROUP and specialised in precision machining and large machining further widens its production capacity with the purchase of a cutting edge SORALUCE FS-16000 multi-function machining center. 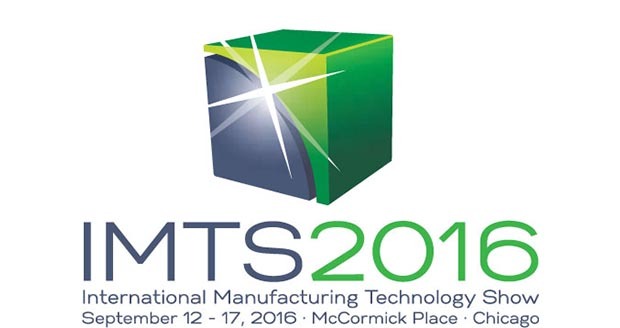 DANOBAT and SORALUCE will be showing the latest technological solutions for the machining of components on South Building S-9453 at the IMTS 2016 exhibition which will be held from the 12th to the 17th September at Chicago. 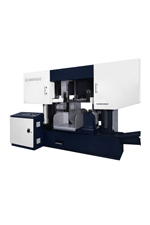 Visitors at IMTS will be able to see the DANOBAT HG universal heavy duty grinding machine, as well as DANOBAT-OVERBECK IRD-400 internal, external and radius grinding machine. 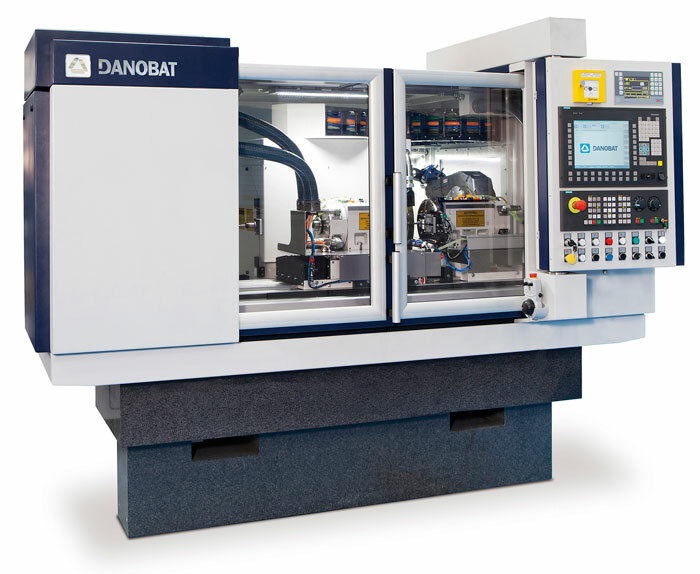 The DANOBAT HG grinding machine range with moving table, can grind work pieces with lengths up to 5000mm , so it is a great choice for applications in aerospace, railway or power generation industries. 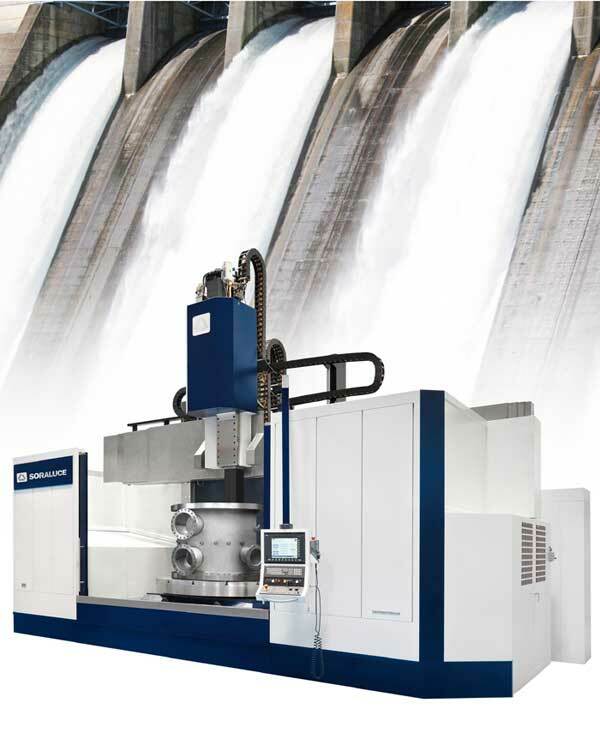 Meanwhile, the DANOBAT-OVERBECK IRD range performs internal, external, radius, face and non-round grinding operations making these machines ideal for the machining of forming and cutting tools, ceramic parts as well as other components for Oil & Gas and Transmission industries. 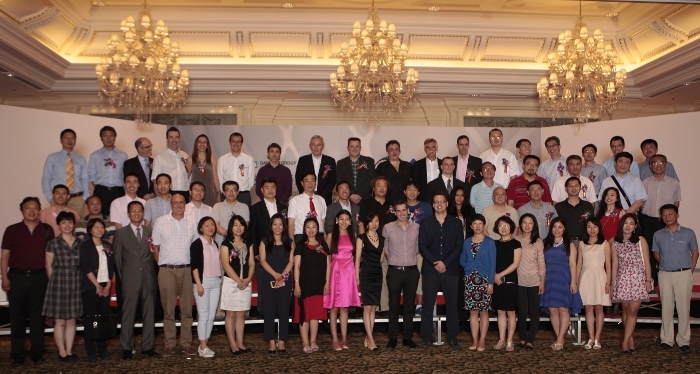 DANOBATGROUP has recently celebrated the 25th anniversary of its delegation in China with a ceremony held at the Ritz-Carlton Hotel Beijing attended by some 100 people. 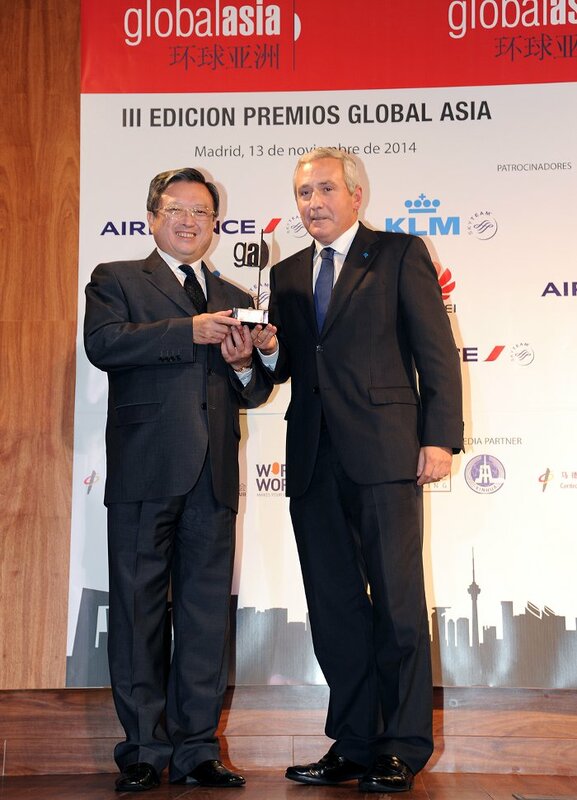 The event brought together authorities, customers and project partners, directors of the company, representatives of Spanish companies with offices in China, staff of the Chinese delegation, and a sizeable representation of local media. Among other dignitaries, DANOBATGROUP was delighted to welcome the Counsellor for Economy of Spain in China, Mr. Javier Serra, the General Director of the Spanish Chamber of Commerce in China, Mr. Manuel Galán, the current General Manager of DANOBATGROUP and the next President of MONDRAGON corporation, Mr. Iñigo Ucin, as well as the current Managing Director of DANOBAT and the future General Manager of DANOBATGROUP, Mr. Pello Rodriguez. 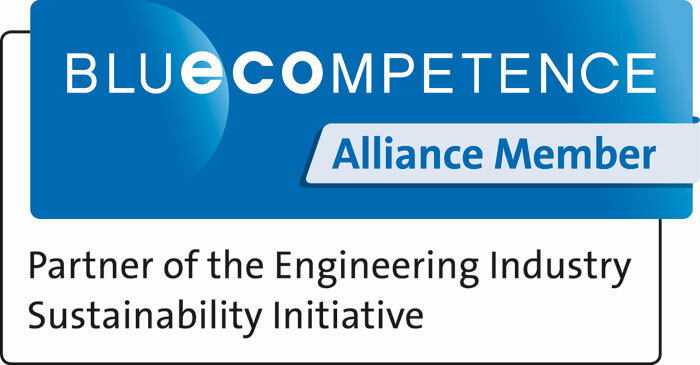 It searches to increase the competence of the European manufacturing industry, reducing the gap between the programmed process and the real part. 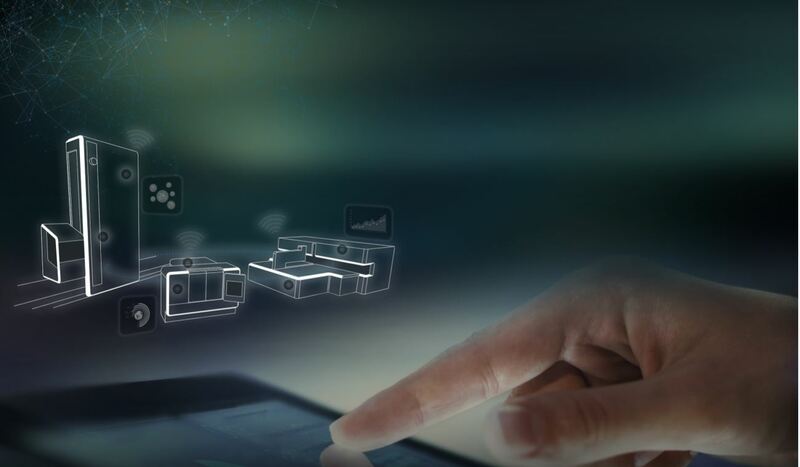 The MC-SUITE project proposes a new generation of ICT (Information and Communication Technologies) which enables process simulation and optimization of tools enhanced by physical measurements and monitoring, thus reducing educes the distance between the virtual and the manufacturing process. The advances in the Information and Communication Technology (ICT) are revolutionizing our everyday life. However, the manufacturing industry has not taken complete advantage of this huge potential yet. 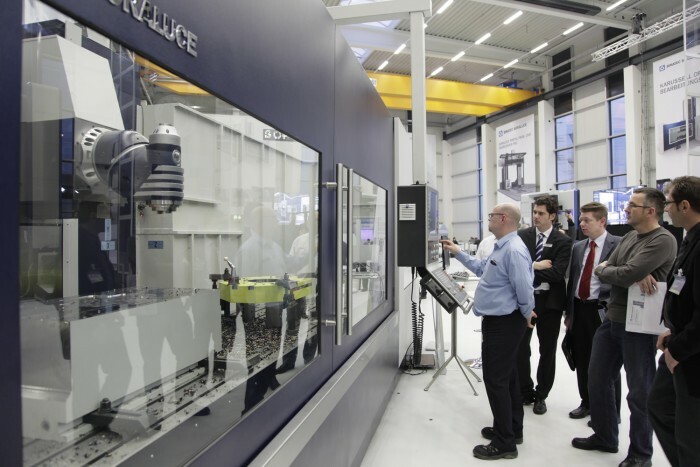 The final aim of the MC-SUITE project is to open the doors of the manufacturing workshops to this new revolution. 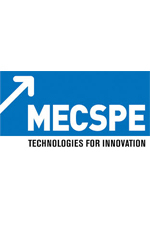 Indeed, the MC-SUITE project consortium strongly thinks that the current ICT can have a tremendous impact in the productivity increasing the competence and expertise of the European manufacturing companies and especially the SMEs. SORALUCE FXR Milling Boring Machine has been awarded with the international distinction for high design quality after proving its design excellence in the most important international product design competition. 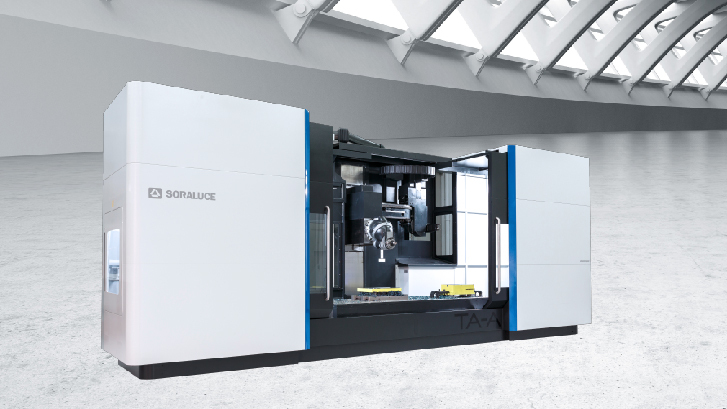 From a record number of 5214 participants, from 57 nations, SORALUCE FXR milling boring machine stood out and has been the winner of the Red Dot Award: Product Design 2016, being one of this year’s best of the industry. The Red Dot jury, consisting of 41 expert independent designers, design professors and specialised journalists, discussed all entries live and on site according to the strict Red Dot statutes. 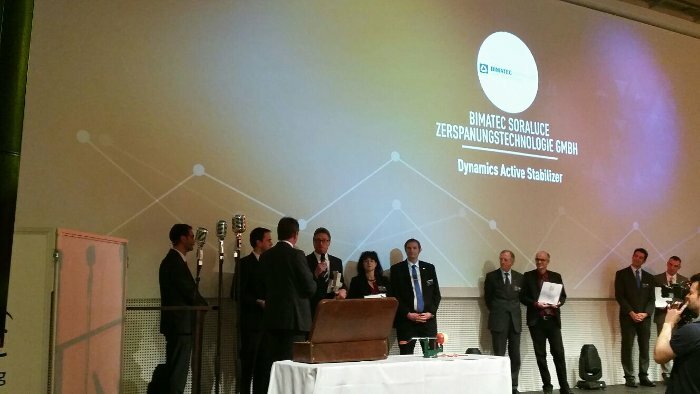 The European machine-tool manufacturer, which specialises in milling, boring and turning, is revolutionising its sector with DAS (Dynamics Active Stabiliser) technology, which has just earned it the European Quality Innovation of the Year and Best of Industry awards. 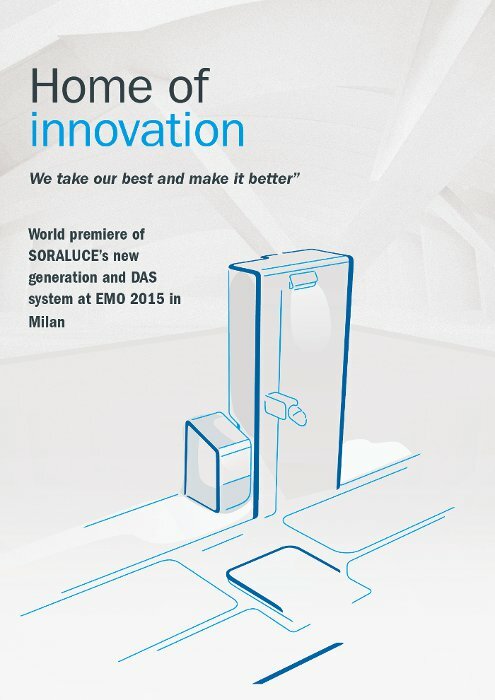 DAS technology, which is set to be a revolution in the machine-tool sector, consists of a device that actively increases the dynamic rigidity of machines, thus increasing cutting capability by up to 300% due to the reduction of the risk of chatter during machining process. The system increases cutting capability in general, improves surface quality and reduces the risk of tool breakages, increasing tool lifetime under extreme conditions. 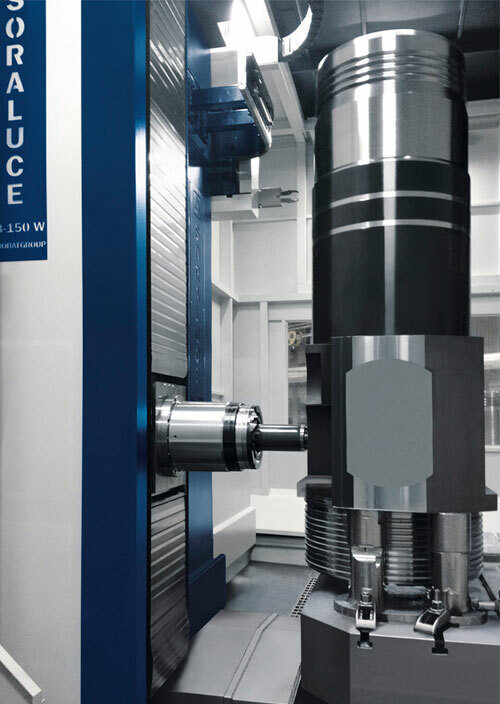 The system has been tested on all types of machining processes, such as press heads, motor pole shoes and dies, and in all cases its use has resulted in reductions of up to 45% in the machining times tested. 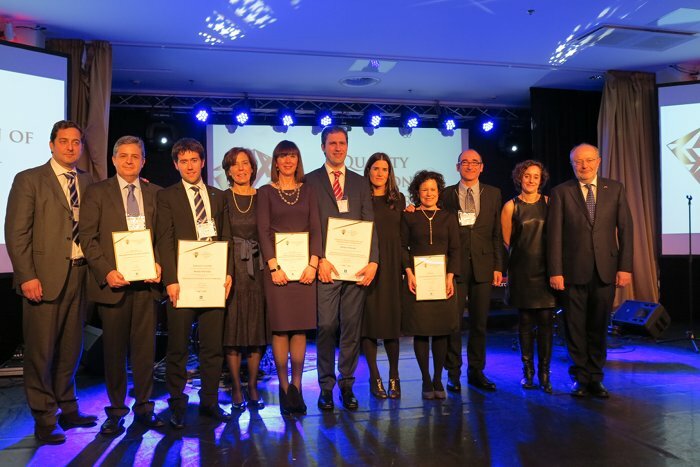 SORALUCE receives "BEST OF INDUSTRY"
The Vogel Convention Centre in Würzburg hosted the presentation of the renowned ‘Best of Industry Award’ for 2015. 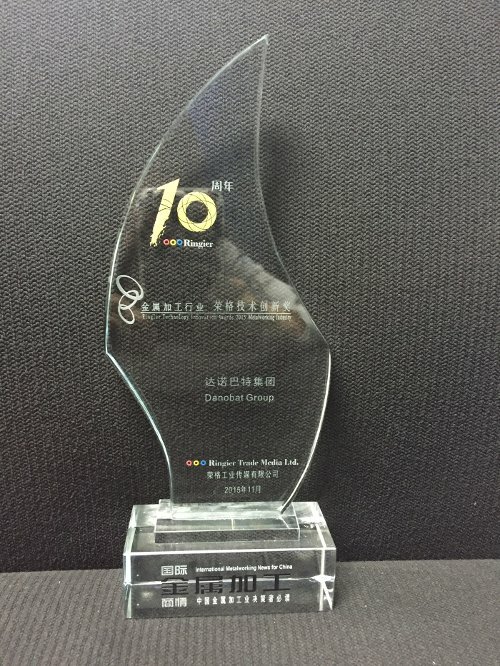 SORALUCE received the ‘Best of Industry Award’ for industrial products for 2015 in the metal cutting machine tools category. 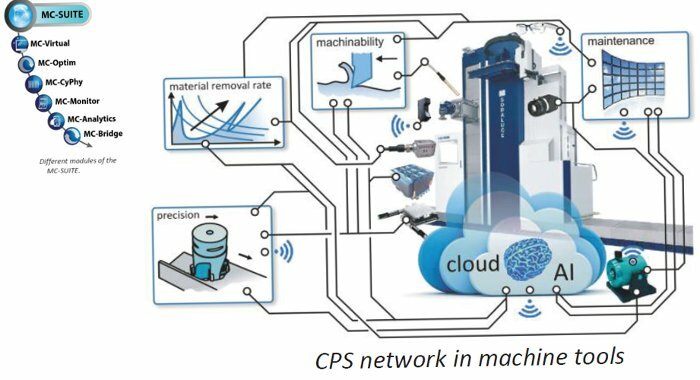 With the innovative DAS (Dynamics Active Stabiliser) created by SORALUCE’s R&D Department it is possible not only to increase the dynamic stability of machines but also to increase the chip removal capacity by up to 300%. The DAS system breaks through physical limitations for the first time. 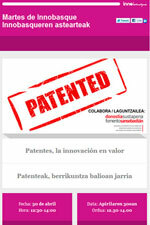 It was developed thanks to a four-year cooperation project between SORALUCE and its IK4-IDEKO technology centre. Stringent practical trials were carried out on many different machining systems, based first and foremost on suggestions by users, e.g. 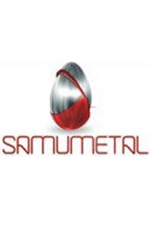 in machinery construction, press heads, pole shoes for generators and the manufacture of large, high-strength components. In all these cases it proved possible to reduce machining time almost in half. 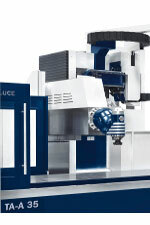 SORALUCE, setting new standards in milling, boring and turning technologies. 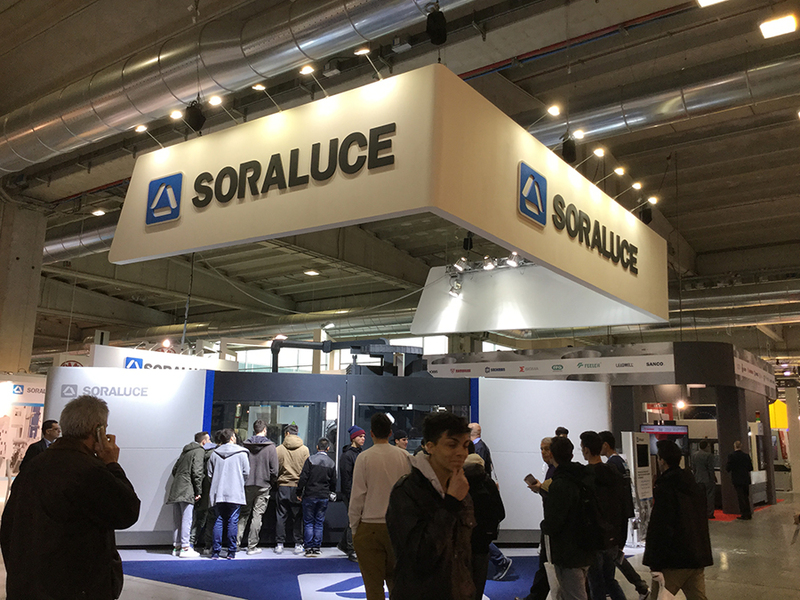 SORALUCE has been present at SAMUMETAL in Pordenone (Italy) with the new SORALUCE generation, that brings the customer important improvements in maintenance, ergonomics, high dynamics and safety in the work environment. 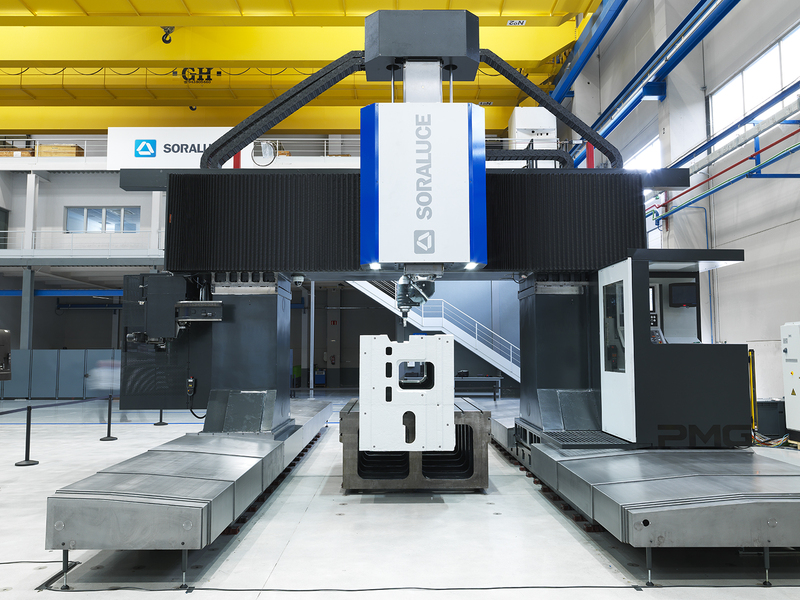 The new SORALUCE generation is based on a complete revision of the machine from the user’s point of view, focusing on the improvements of the operational efficiency based on the Total Machine concept. 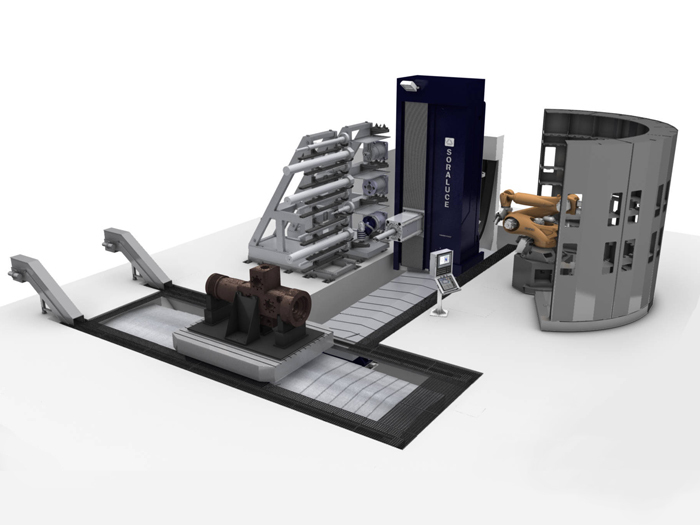 The Total Machine concept not only takes into account the machine but also the complete working area. 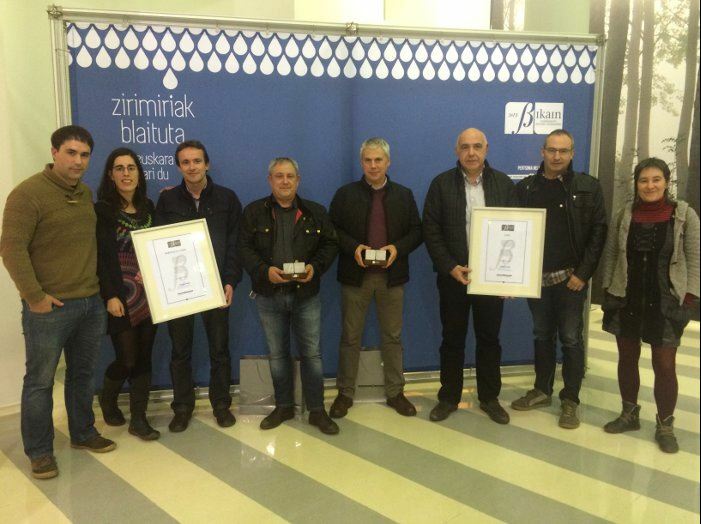 SORALUCE, A&B Laboratorios, TKNIKA, Vicomtech, Colegio Urkide Ikastetxea and Osakidetza were the Quality Innovation of the year 2015 winners in the Basque Country. These companies are also finalists in the European Quality Innovation of the Year 2015 award that will be decided in Tallinn (Estonia) in January 2016. The competition was created in Finland in 2007 in order to stimulate the emergence and development of product, process, organisational, etc. 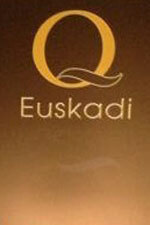 innovations, and which draws participants from many countries including Sweden, Lithuania, Latvia, Estonia, Hungary, Israel and the Basque Country, via Euskalit. 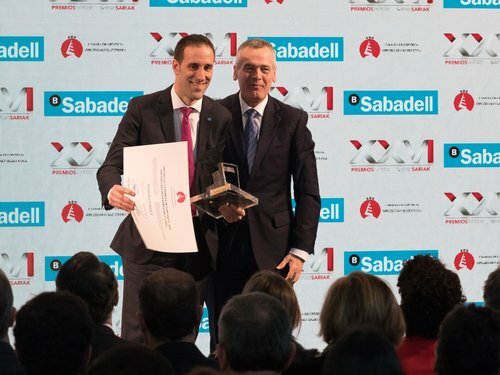 Rafael Idigoras, Managing Director of SORALUCE, received the award at the gala organised at the Palacio Euskalduna on 11 November. SORALUCE held the 5th edition of Technology Days at the Excellence Centre BIMATEC SORALUCE from 17th to 21st November 2015, to experience the latest technologies and developments by SORALUCE in real machining conditions, highlighting the new SORALUCE product generation, innovative DAS system (Dynamics Active Stabiliser) and latest developments in Industry 4.0. A long term agreement brings SORALUCE into partnership with the Nuclear Advanced Manufacturing Research Center (Nuclear AMRC) to push forward the development of manufacturing processes for civil nuclear and other innovative energy sectors. The Nuclear AMRC was established in 2009 to combine the knowledge, practices and expertise of manufacturing companies with the capability of universities. It is led by the University of Sheffieldwith support from The University of Manchester Dalton Nuclear Institute. Over 40 companies have joined the Nuclear AMRC as members, from reactor providers and top-tier suppliers to providers of specialist equipment and services. 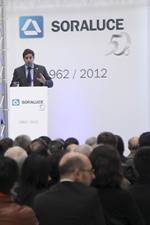 SORALUCE celebrates a new edition of Technology Days, annual meeting point that brings to experience the last technologies and developments by SORALUCE. 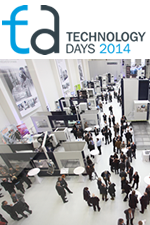 Technology Days 2015 will celebrate at its Excellence Centre BIMATEC SORALUCE (Limburg, Germany) form the 17th to the 21st November. 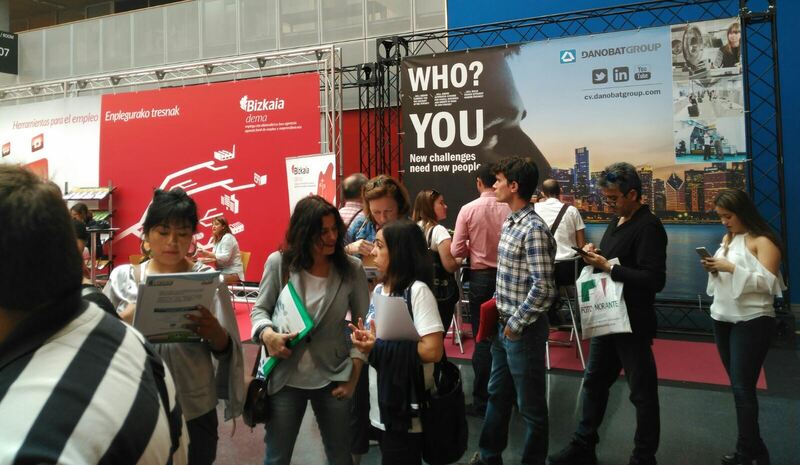 At this 5th edition of the Technology Days, SORALUCE wants to go further, showing its position as leaders in innovation, customer orientation and value generation. SORALUCE is the best fellow traveller, staying close with its expert advice, technology going through permanent evolution, consolidated solutions and a wide range of services with added value. 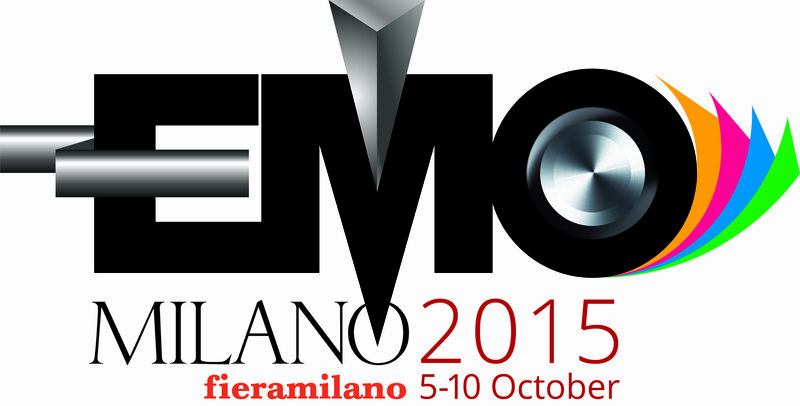 The 29th edition of the Spanish Biennial of Machine Tool BIEMH, co-organized by Bilbao Exhibition Centre (BEC) and the Spanish Association of machine tool manufacturers, accessories, components and tools, (AFM) has been presented to leading industry manufacturers and distributors at a ceremony held at EMO exhibition in Milano. 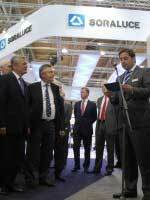 Part of the celebration of the event has taken place at the stand of SORALUCE, where its Managing Director, Mr. Rafael Idigoras, has stressed the importance of attending the BIEMH, for being an excellent opportunity to present the latest products and technologies and make them accessible. As he has mentioned, investment in technology is key for the development of a country, and the BIEMH is the right place to make the first step in the right investment. 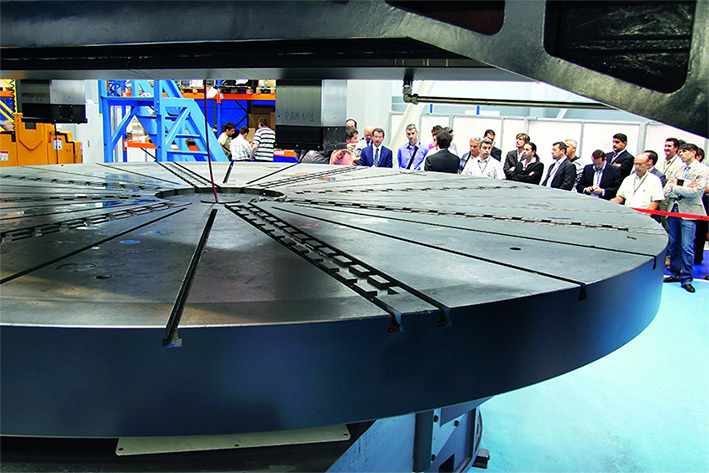 Over 50 guests from 8 countries attended the SORALUCE Vertical Turning MASTERCLASS and Milling & Boring EXPO 2015 held from 7th until 10th July 2015 at SORALUCE manufacturing facilities in Spain. The event succeeded in showing the highlights and advantages of SORALUCE’s Vertical Turning technology, both with a MASTERCLASS conducted by Xabier Mendizabal (R&D Director) and a hand on experience with the new VTC-6000-H that was showcased during the event. 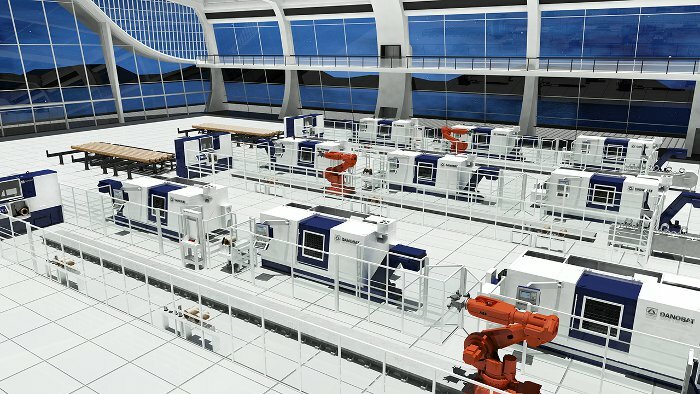 The railway division of DANOBATGROUP - a benchmark company in turnkey solutions for maintenance and production of rolling stock parts, and the manufacture of stand-alone machines for machining these parts- announces the launch of its new website railways.danobatgroup.com. 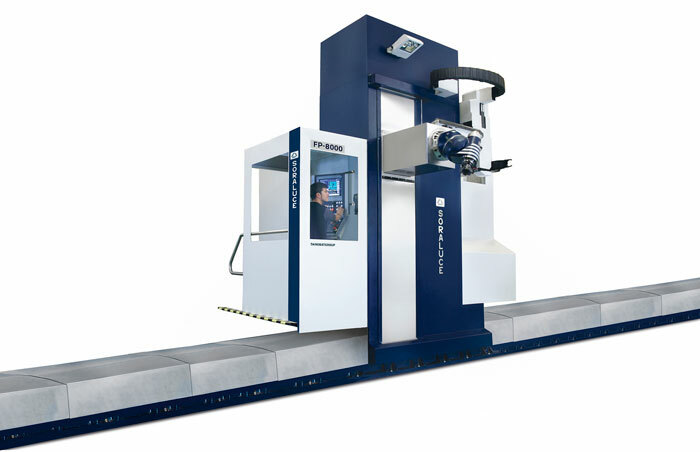 A space to showcase strategic, innovative and cutting-edge products of the group main brands, DANOBAT and SORALUCE, such as the DANOBAT underfloor wheel lathe: a machine capable of performing maintenance of railway wheels and brake discs, without any need to disassemble the wheel shaft. With this new website, the group has taken a step further in connecting with its customers in the rail sector. With the motto of less is more, this space has detailed and itemised information about each solution. 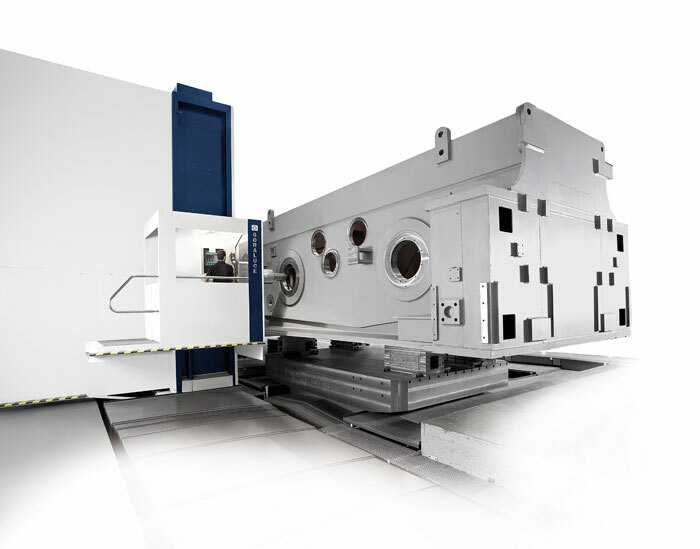 The new SORALUCE KB-150-WR Horizontal Boring Machine for Oil & Gas industry will be showcased from 15 to 25 June at AmTTech facilities -SORALUCE´s partner- in Houston, Texas. 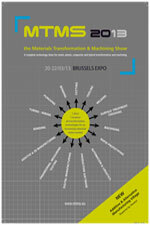 The workshop will show the latest technologies applied in SORALUCE KB-150-w, such as the linear guiding system and hydrostatic damping system which improves machining efficiency. 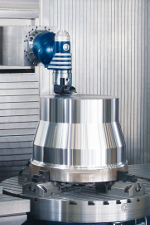 Live machining trials of different features will be executed in real working conditions to demonstrate enhanced precision, robustness, flexibility and automation, high performance and high dynamics. DANOBATGROUP will be participating in the International exhibition for Equipment, Instruments and Tools for the metalworking industry in Moscow, from 25 to 29 May 2015. 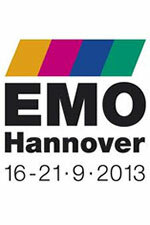 DANOBATGROUP will be showcasing the latest DANOBAT and SORALUCE innovations in machine tools and manufacturing processes on grinding, turning, milling-boring, sawing and drilling, punching, bending and laser cutting in Hall 3, Stand B90. 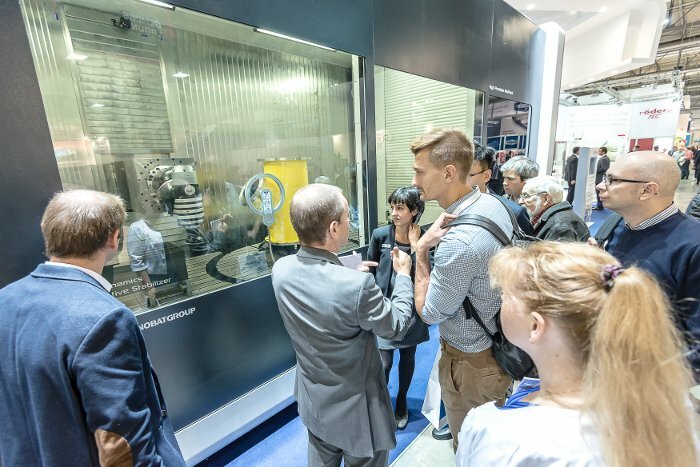 The Metalloobrabotka International Exhibition is an unprecedented source of high-tech products essential for innovative development of the Russian economy. Introducing state-of-the-art technological solutions into the Russian engineering industry, the exhibition helps to build up an innovative economy in Russia, accelerates transformation of the latest technological developments into products and their application to all industry sectors. 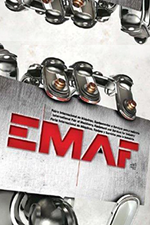 The most innovative DANOBAT and SORALUCE developments in grinding, turning, milling, boring, sawing and drilling machines will be showcased on stand N200 of FEIMAFE 2015, which will take place from 18 to 23 May at Anhembi Exhibition Pavilion, in Sao Paulo, Brazil. 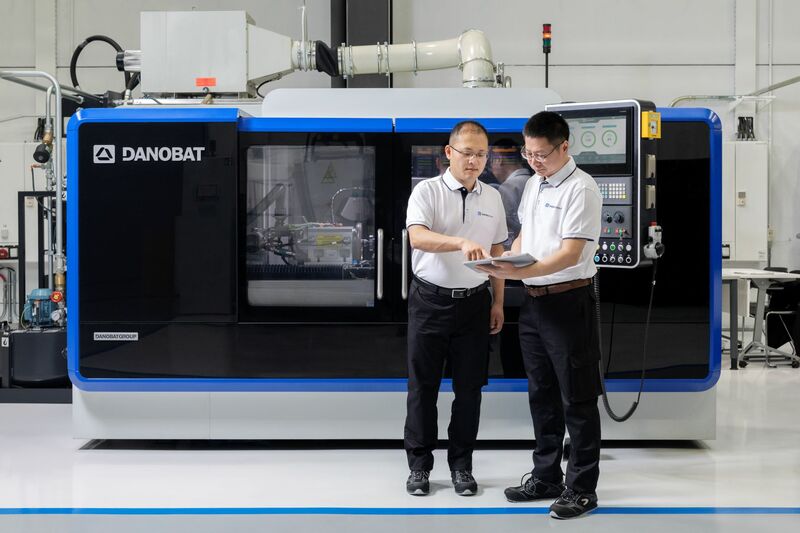 DANOBAT and SORALUCE machines share a common sensitivity to technological excellence, high precision products and a special care to adapt to customer’s real needs. As a result, highly competitive first class solutions are provided. SORALUCE milling, boring and turning machining solutions are expanding worldwide with the appointment of DUROC as a full SORALUCE products dealer. 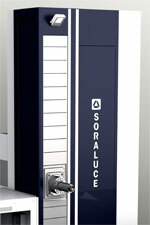 SORALUCE machines are today present in all five continents and they are a world reference for cutting edge milling-boring and vertical turning machines. 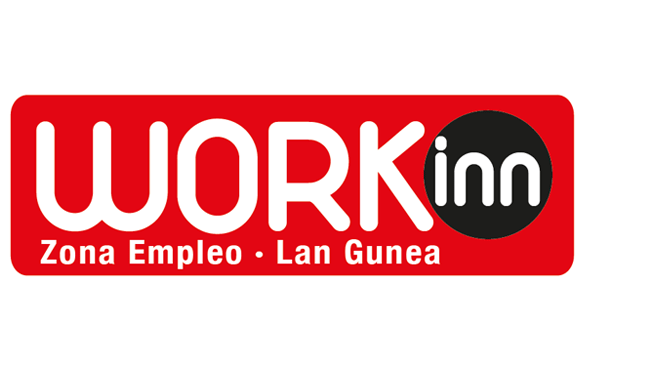 Complete design, assembly and verification of the machines is carried out in four assembly plants in Basque Country (Northern Spain) and one Technology Centre in Limburg (Germany), in addition to an advanced head manufacturing centre providing high level technology and working with the most demanding industries, from capital goods to energy. 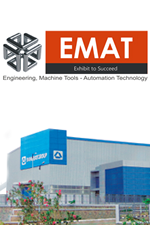 DUROC MACHINE TOOL is one of the leading players in the market for machine tools and accessories in Northern Europe. 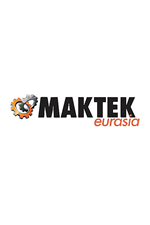 Duroc Machine Tool is active in totally seven countries including Sweden, Norway, Denmark, Finland, Estonia, Latvia and Lithuania. The mother company Duroc AB is a public company registered on the Swedish stock exchange NASDAQ-OMX. Duroc Machine Tool offers reliable solutions for a cost efficient production process with high availability and disruption-free production. 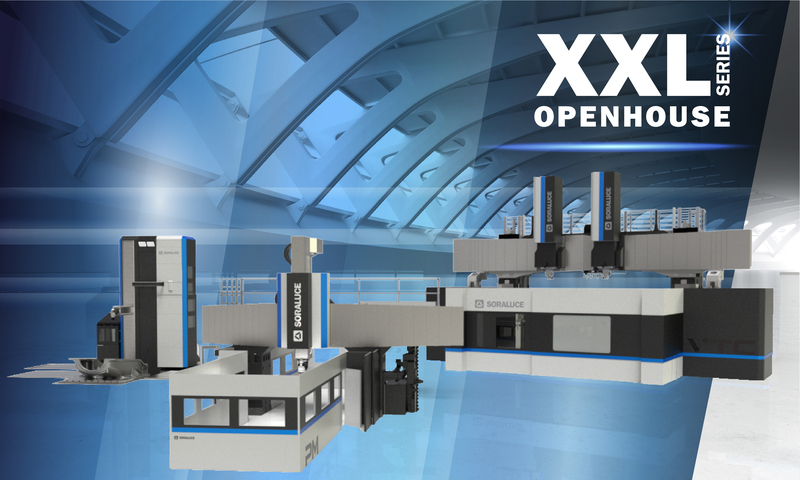 The latest SORALUCE solutions are being showcased at INTEC 2015, the 15th trade fair for manufacturing, tool and special-purpose machine contruction, which is being held at the Leipziger Messe (Leipzig, Germany) from 26th February to 27th February. 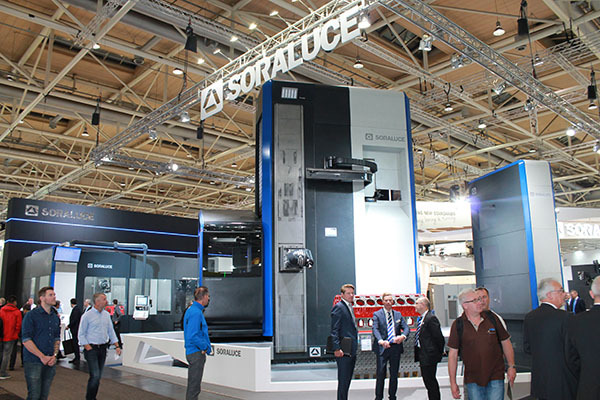 SORALUCE solutions are showcased through its local subsidiray BIMATEC SORALUCE Zerspanungtechnologie GmbH, in Hall 5 Stand C04 and will be showcasing the SORALUCE TR-35 bed type milling centre and the SORALUCE modular quill patented system. The latest DANOBAT developments and technologies for Oil & Gas industry will be showcased from 26 to 28 february in booth 1449 of the HOUSTEX exhibition in Texas. 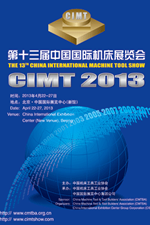 Among other OCTG machining solutions, the DANOBAT TTB horizontal turning machine for pipe threading will be showcased durign the exhibition. 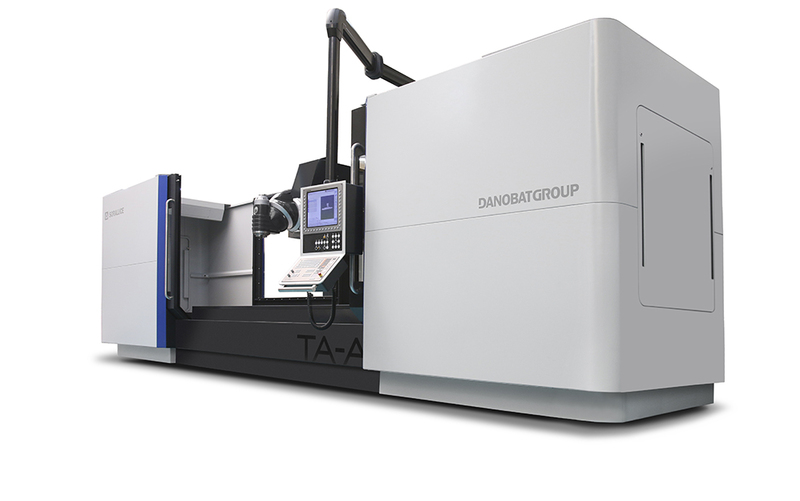 DANOBAT TTB´s main distinctive feature is the machine rigidity and optimal chip removal during the turning and threading operations. 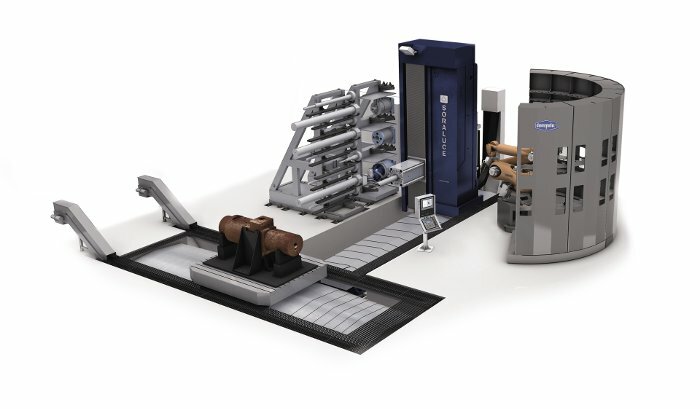 In addition to the single machine TTB can include loading / unloading systems, positioning channels, internal support & plug devices, specific tooling solutions, machining processes, CNC programming and operator training to suit the customer´s particular application and need. SORALUCE is arranging a Machining Workshop focused on the Oil & Gas sector, exhibiting the new Horizontal Boring Machine KB-150-W-Ram, specially designed for machining Oil & Gas components. 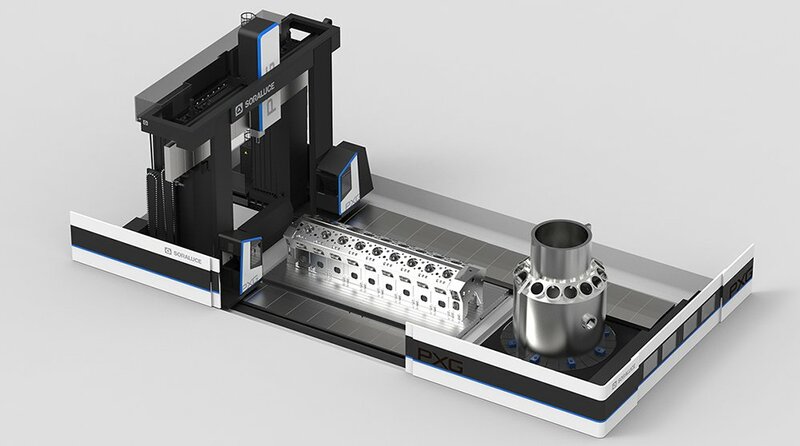 Live machining trials simulating real conditions on Master Valve Blocks will take place, including milling, heavy drilling, Inconel machining and seat pocket machining which will all be executed on the KB-150-W-Ram machine. SORALUCE is involved in the project HIPPOCAMP which consists basically in developing a new manufacturing process for the deposition of nanocomposites in metal or polymeric structural parts, in order to get a new material that combines high stiffness with high damping capacity. This novel material will serve as a coating for structural parts of metal or polymer in order to increase the damping of the same, maintaining all the other mechanical properties. 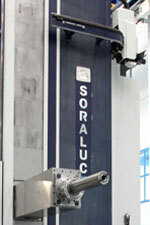 The primary role of SORALUCE is to develop a fiber milling quill to increase the damping capacity. 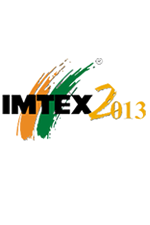 DANOBATGROUP India will exhibit the latest developments and technologies of its two product brands, DANOBAT and SORALUCEin Hall4, stand B-110 at the 17th Indian Metal-cutting Machine Tool Exhibition –IMTEX 2015. 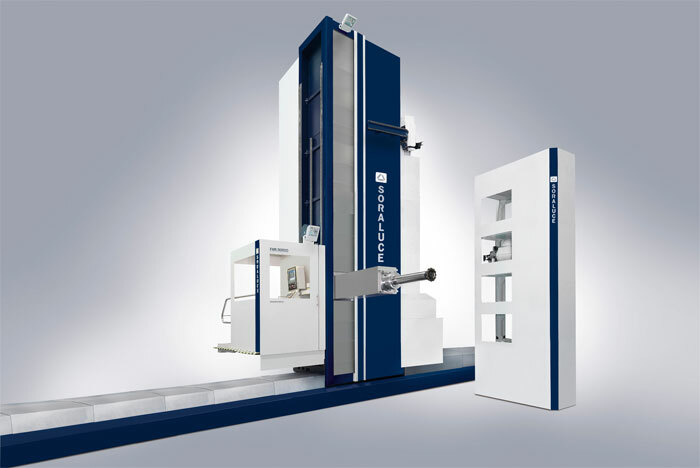 DANOBATGROUP will showcase the SORALUCE FP-6000 milling boring machine which has a 6000 mm longitudinal travese, 3200 mm vertical traverse and 1500 mm cross traverse and is equipped with an orthogonal head, indexable at 1ºx1º, with 37 kW, 4000 rpm motor and a 20-position tool magazine. Apart from the machine, a model of SORALUCE VTC 6000 vertical turning centre and a model of a complete turnkey line which is now being developed by the group for Indian railways will be also showcased. This line accomplishes a full automatic axle, wheels, wheelset machining, assembly and inspection line. 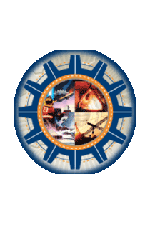 Besides, grinded part applications and soltutions for the most demanding industries such as oil&gas, earospace, energy, general engineering or capital goods among others will be also showcased.